Are you planning to build a new house? One of the toughest decisions that you will have to make is regarding the insulation of the house. Insulation will save you from moisture and cold during the winter season. However, the process of choosing the right insulation can be a frustrating one. Thus, it is a wise move to go for the stucco insulation. Stucco/EIFS is among the most affordable and convenient ways of insulating your house from all forms of extreme weather conditions. Several things make stucco one of the essential insulations in any home. Stucco/EIFS creates a permanent barrier in your building against all forms of weather conditions. Some people prefer to use metal backing before they apply stucco and this is an excellent practice. Professional contractors can help you to achieve the same objective with a lot of ease and quickly. There are several options for making this installation. 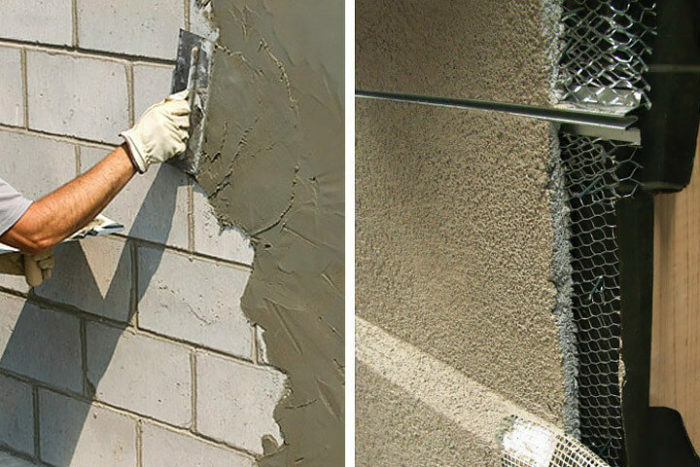 Stucco is among the best barriers because professionals apply it in three different layers. These experts also use a coat of spray to fill in all the holes that occur while placing the layers. You cannot get this kind of insulation when using the fiberglass or Styrofoam materials. Stucco/EIFS will stand out as it can capture all the empty spaces where it is being applied. This feature is essential, and you cannot afford to overlook it. You can apply stucco in various places even where other insulations don’t work. SoFlo Contracting will make sure that your home is safe with the use of Stucco insulation. The market has several options when it comes to the insulation of your building. You will no longer have to worry about molds that grow on wall surfaces because stucco prohibits the growth of molds. The presence of molds in the house can course several breathing difficulties. The challenge is that the process of eliminating molds from your home can be a difficult one. The USA has several dwellings where molds have caused a lot of damage, and even the homeowners are not aware. The beauty about stucco is that it will not allow the mold to grow. Therefore, you will be able to save your house from all forms of damage. You can also apply stucco insulations on the exterior of your sidings or walls. The primary reason behind this is that stucco will provide a better barrier than any other insulation material. The primary goal of any property owner is to have the best insulation for the building. Stucco will make sure that both moisture and the cold stays out of your building. The other advantage of stucco/EIFS is that it is water resistant. Therefore, it will make sure that floods stay out of your building. The moisture that arises when there are changes in the temperature, storms, and other things will also be kept outside. This insulation will keep off the temperature irrespective of the source. One thing I want you to understand is that stucco is not a thing that will wear out on its own. The only way to get rid of stucco is removing it. However, no reason will motivate you to remove your stucco. The benefits are so much, and no homeowner will want to miss them.